The Po Boy’s Car Club has their regular, monthly cruise in this Saturday, April 20, 2019, and we can’t wait! We recently visited with Ronnie Cline and Mike McCracken who spoke with us at length about their community building efforts and, of course, all the cool cars and people they get to meet. 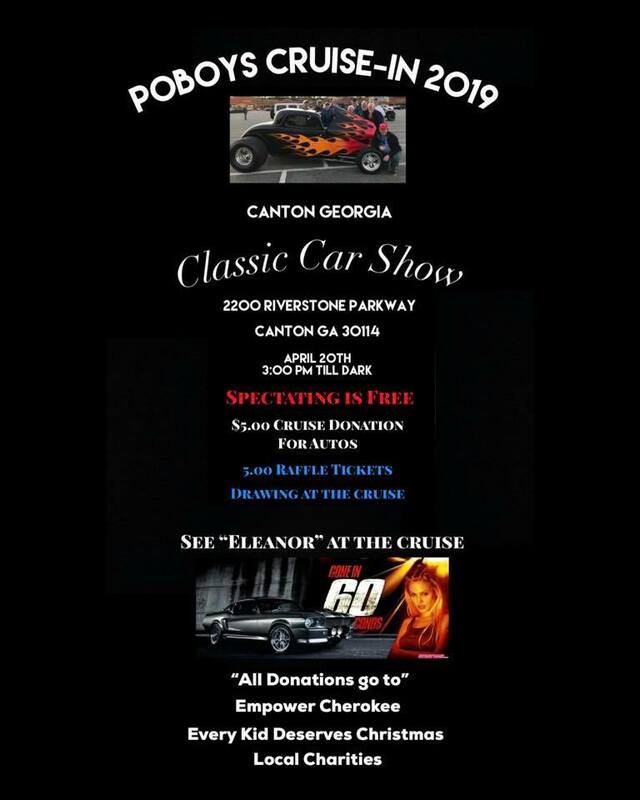 Come join us at their cruise-in this Saturday! This is a special episode. We had an opportunity to let Mickey speak with Rick Goolsby, the Series Manager at Historic Sportscar Racing. They talk at length about The Mitty, one of the oldest historic and vintage races in the U.S., happening in Atlanta April 26 to 28. We welcome your questions and feedback via our website. TTAC records at Strongbox West, in Atlanta. Today we welcome Mike McCracken and Ronnie Cline from PoBoys Car Club. The PoBoy’s car club started in the spring of 1979 when a small group of guys who loved old cars decided to gather monthly. This soon grew into one of the largest cruise-ins on the East Coast right in Canton, Georgia. We are excited to have them visit The Thing About Cars! Ronnie and Mike regale us with stories of cars and club meetings. AND we’re going to visit the upcoming gathering on April 20. But don’t forget, TTAC also has this week’s Jalopy Joust!